Ready to be placed on her stroller or car seat for extra warmth, this blanket has arrived from Kickee Pants. 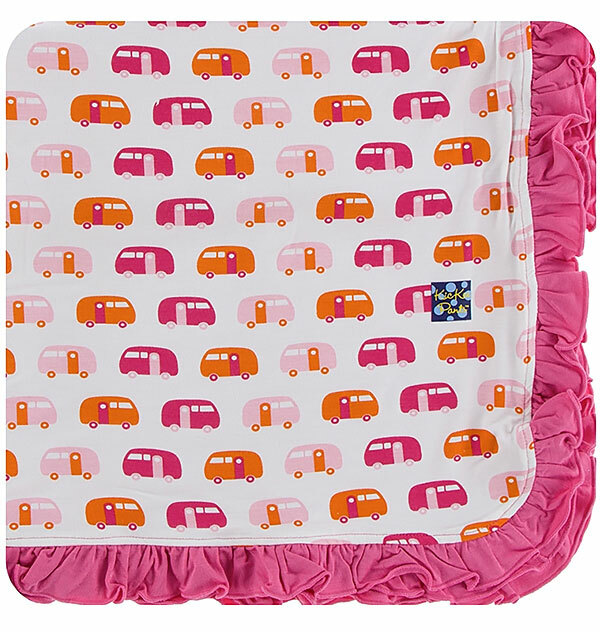 An added ruffle in pink runs around the outside. The light background is covered with sweet campers. 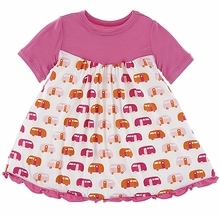 The cute print is made in pinks and orange. Kickee Pants always make the best baby shower gift, giving mom an adorable design with the ultimately soft fabric.